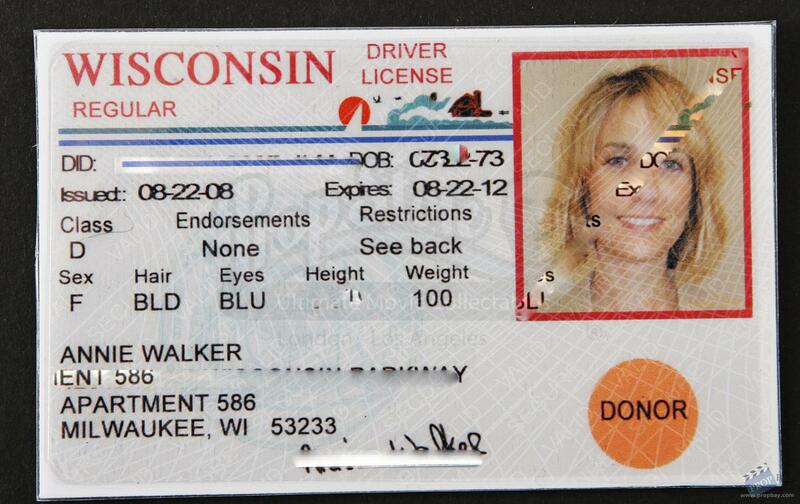 Annie Walker's (Kristen Wiig) License and Registration from the 2011 Paul Feig comedy hit, Bridesmaids. In the film, maid of honor Annie Walker (Kristen Wiig) finds herself at odds with her fellow bridesmaids while preparing for the wedding of her best friend, Lillian (Maya Rudolph). 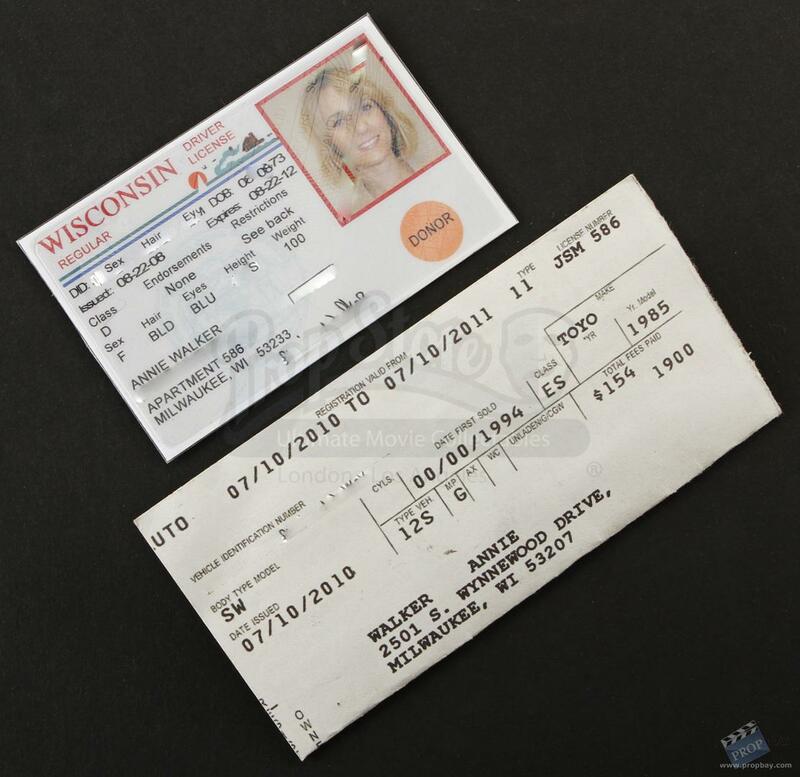 These items come from the scenes in which Annie is pulled over by Officer Nathan Rhodes (Chris O'Dowd) due to her driving skills. The ID resembles a Wisconsin state license, complete with a photo of Annie alongside her personal information and signature. 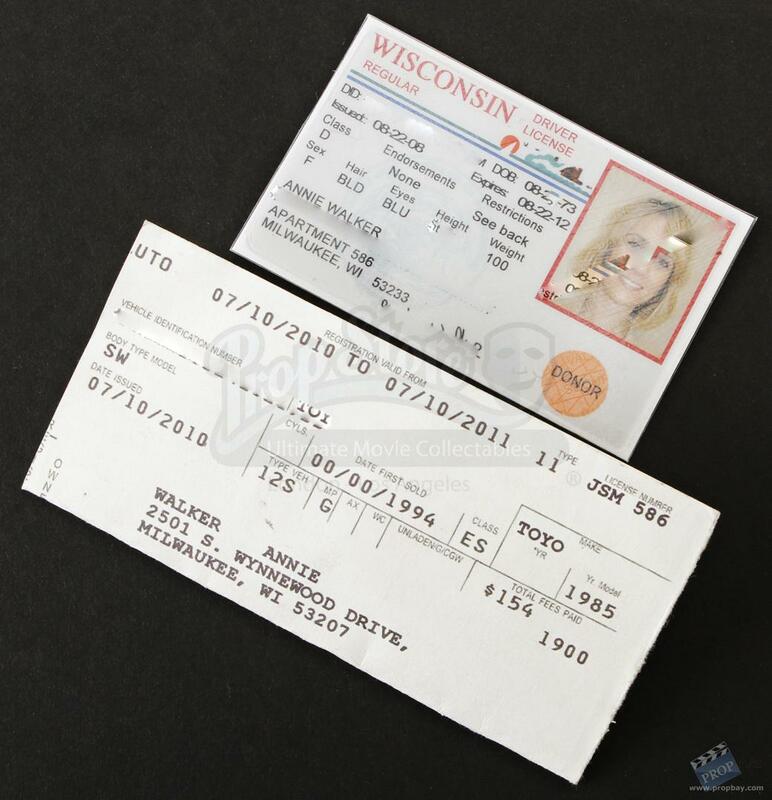 This laminated ID also features holographic lettering that reads "secure" and "valid." 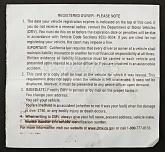 On the back of the card are restrictions and endorsements, as well as a series of bar codes. 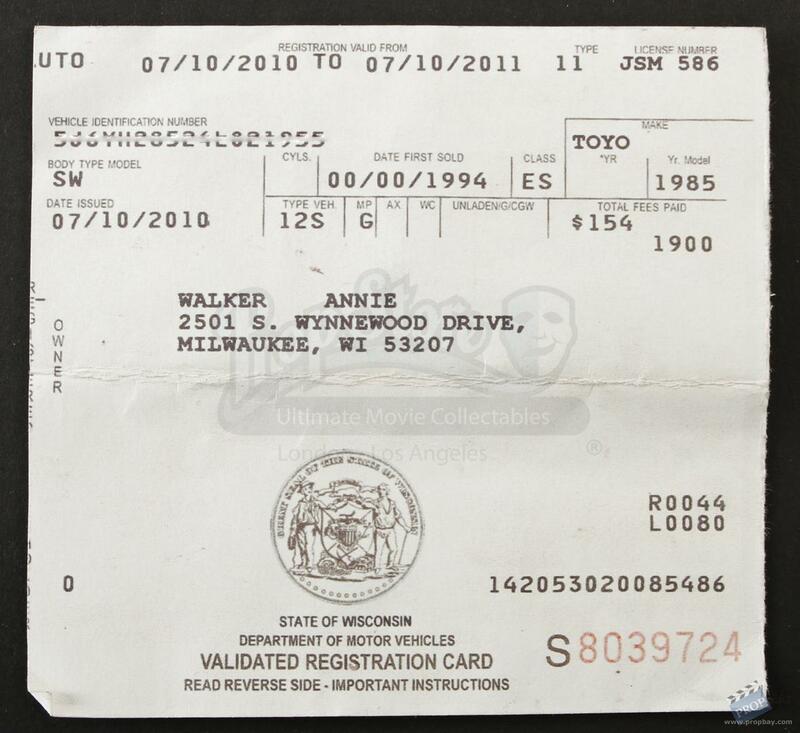 Also included is Annie's auto registration, which has been folded in half. 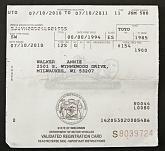 The registration includes information on Annie's 1985 Toyota, as well as DMV notes regarding fees paid on the vehicle. 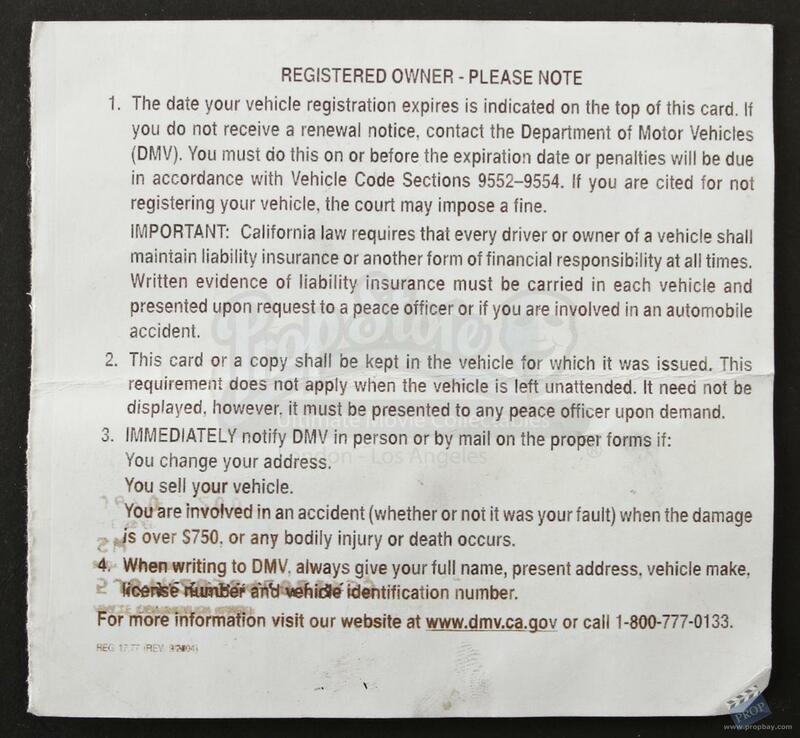 The license measures approximately 3.5" x 2" (9cm x 5cm) while the registration card measures 4.5" x 4.5" (11cm x 11cm). Both are in good production made condition. 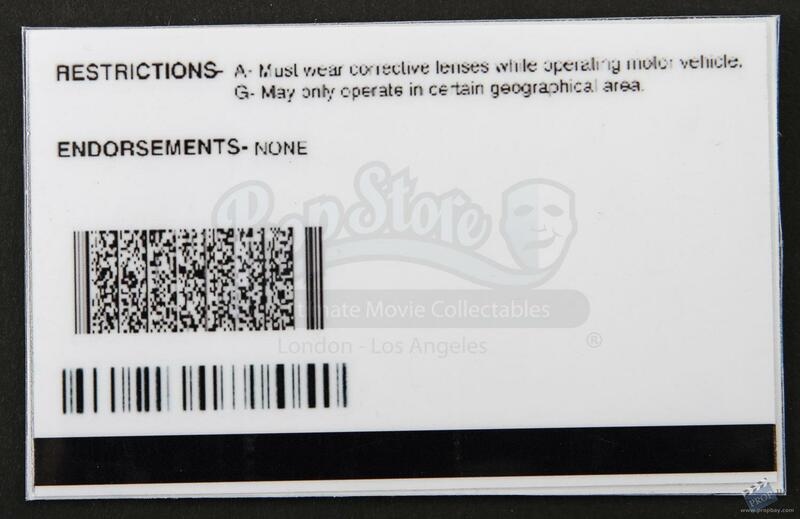 This item comes with a Prop Store COA. Added: 07-10-2013 - Viewed: 2620 times.